My profession often finds me outside, walking around in search of the best nature shots and fishing spots. While I tend to get plenty of walking in, my wife and I have found that by using free walking apps, it's easier to stick to an exercise plan and get a consistent amount of physical activity in each day. There are a ton of free walking apps out there, but only a few are worth your time. If you need more reasons to start a walking routine, here are 10 excellent reasons. I put together a list of the best walking apps available for download - check them out and start your journey to getting fit! 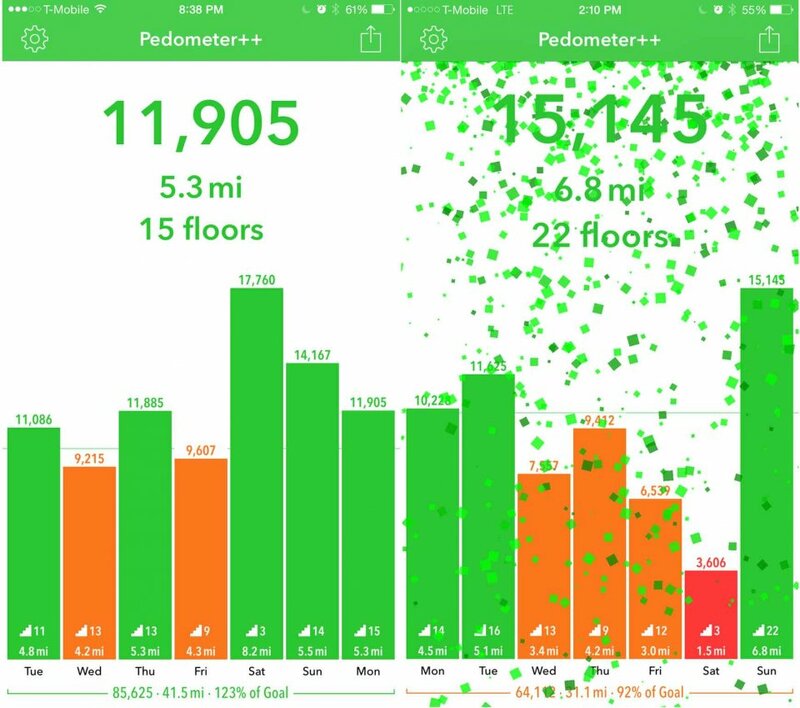 Pedometer++ is an IOS-only app with a clean design and a couple neat features. It acts as a pedometer, counting your steps and keeping track of your daily step count. You can set a daily target for the number of steps you'd like to take and track your progress toward that goal. 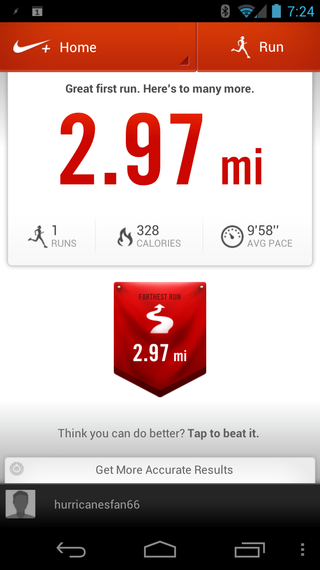 You can see your progress visually with badge numbers on the app icon and graphs inside the app. It works without you opening the app so every step gets counted. Alpine Quest GPS Hiking is perfect for off-the-beaten-path explorers who don't just want to walk - they want to have an adventure. There is a free and premium version of the app. The free version allows you to create multi-layered maps, use the in-app compass and orientation feature, and save your favorite spots. Highly recommended for outdoorsy types. 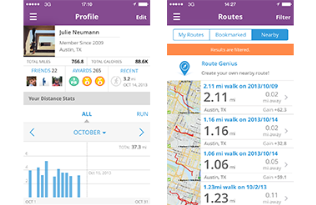 This walking app is great for anyone who walks or runs competitively. Walkmeter offers the ability to send maps from your mobile browser or from an email directly to the app. You can also turn on Race Compete mode, which allows you to time yourself and compare with other walkers and runners on the same route. It's a pretty cool feature for motivating yourself! Nike + Running isn't just for running - it works just as well for walking, as it offers the standard features like tracking your route, keeping up with your distance and time, and seeing your progress over time. The most useful feature is the auto-pause when you stop moving (hey, we all need a breather every now and then). 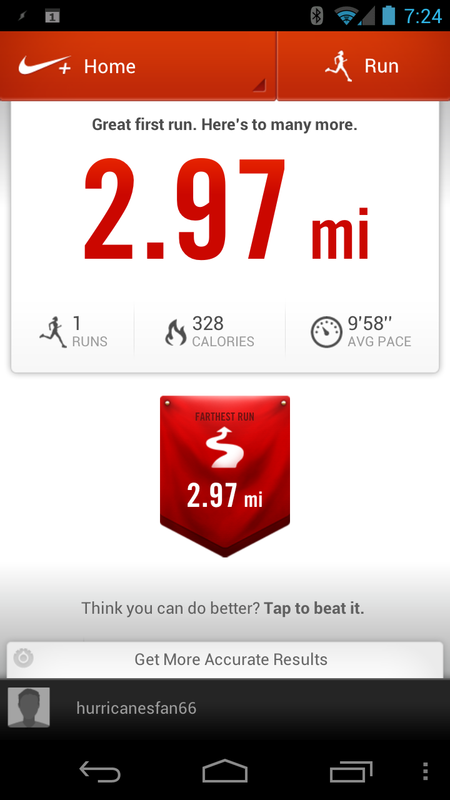 Use MapMyWalk to keep up with standard metrics and readings like your route, distance, time, and calories burned. There's a cool social component that lets you share walking routes with friends and send messages. Their website allows you to see your maps in a larger format and share routes with friends, too. None of the walking apps above have the right mix of features and function? You could create your own walking app. If you're not a developer, you'll likely use a ready-made app platform to create one of your own. Cathy Anderson shares some useful tips on creating mobile apps and building a business from it in this Huffington Post piece. None of these apps right for you? Stefan Thelberg, CoFounder of mobile app development platform Aquro, says building apps using SmartUI for ready-made templates, buttons, etc. helps you "focus more on important functions in your app, and spend less time on simple logic and graphical components." In short, even would-be developers without heavy coding skills can create a fitness app that's simple to use. I'm always looking for cool walking apps, so if you've created a walking app, leave it in the comments below and I'll give it a try!